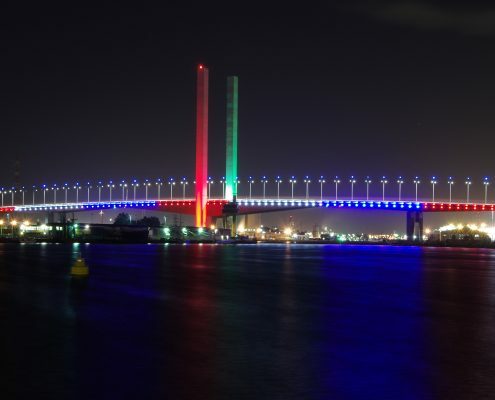 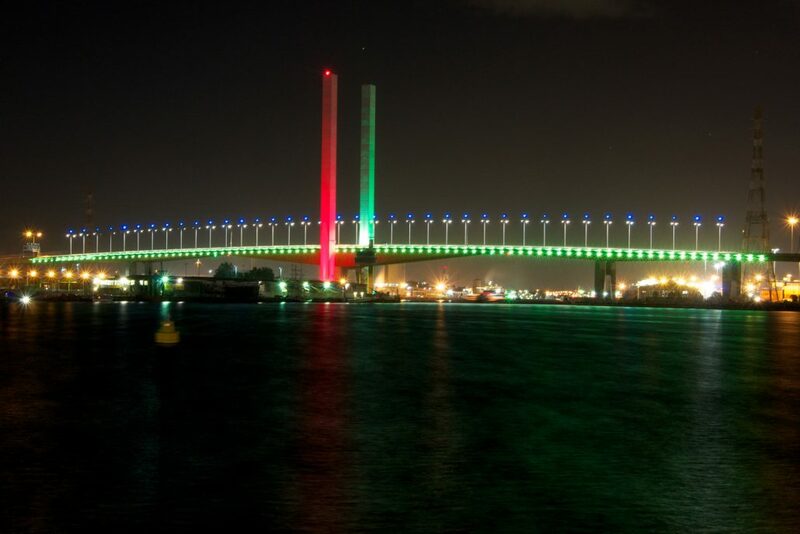 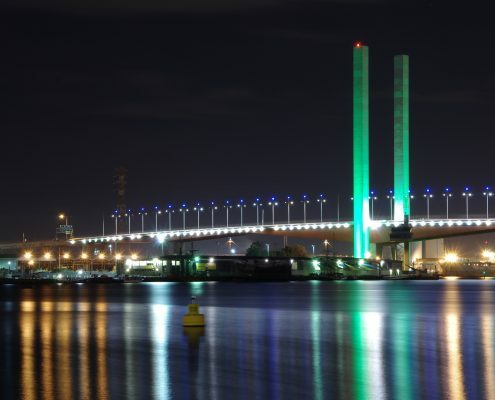 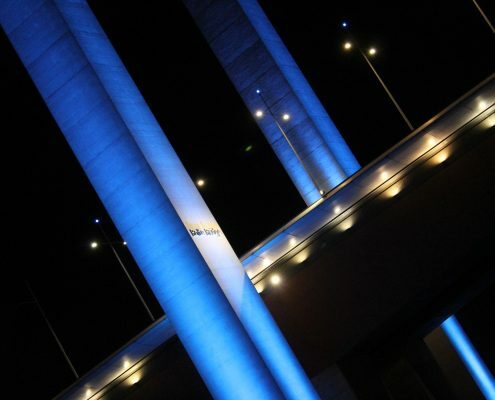 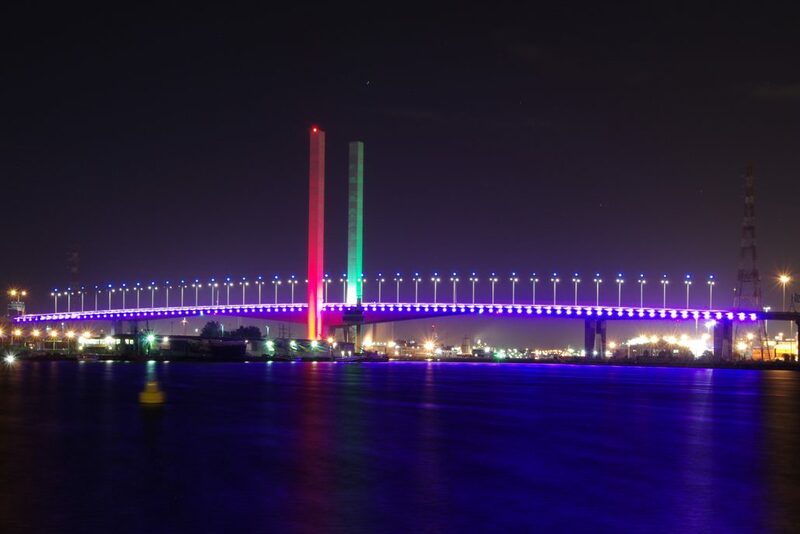 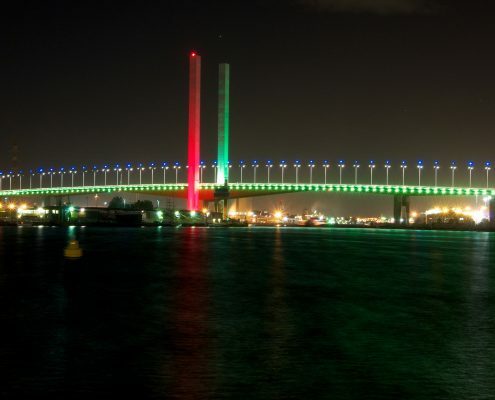 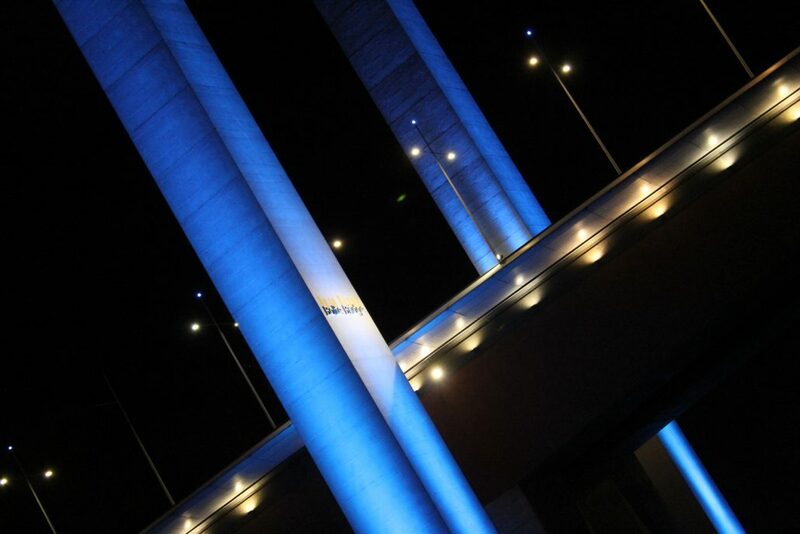 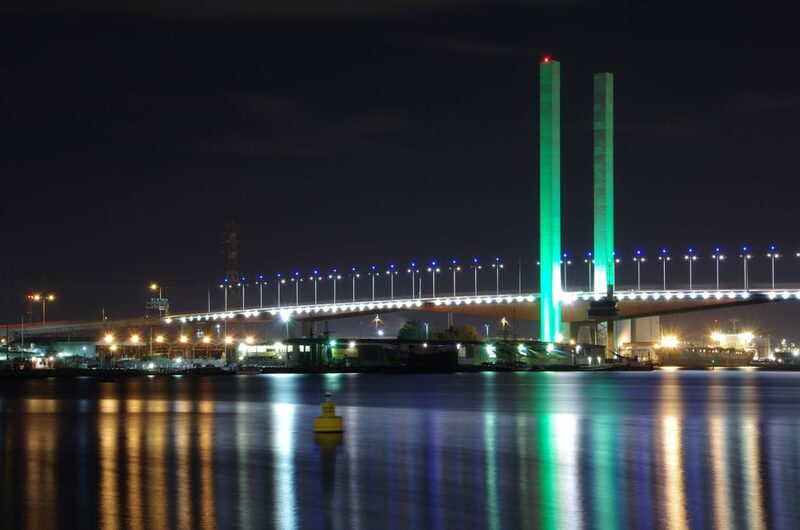 A new extensive LED lighting system illuminates the entire Bolte Bridge, including the 90m tall towers. 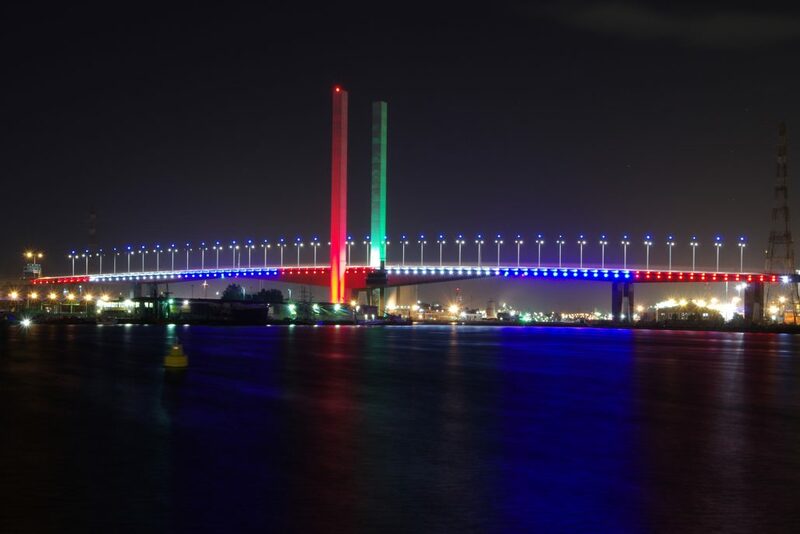 This system has the potential to create endless shades of colour and hues, which can be used to create a visual aura to enhance cultural or sporting events happening in Melbourne. 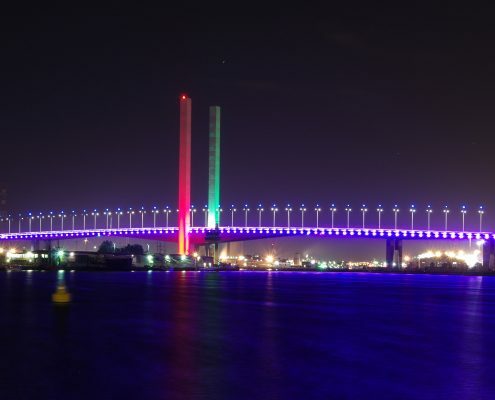 Transurban have reported a significant 89% reduction in energy use, when operating this efficient system over previous technology.